Puppies. There is hardly a human being alive that can say the word without smiling. They are clumsy, curious, and mostly cute. They also come with an array of responsibilities. Not the least of these responsibilities is healthcare. For that reason, you will want puppy insurance to help cover the expense of raising your pint-sized pup into a full-grown dog. 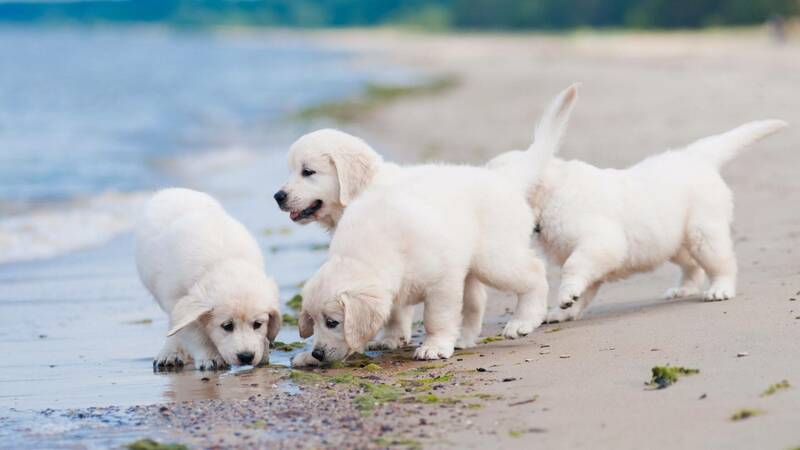 Puppy insurance can begin around the age of weaning, typically six weeks of age. If you are like most new puppy parents, you’ll be bringing your new puppy home shortly after they begin eating solid foods. At that point, you will want to start the first stages of potty training, as well as other behavioral training. You will also want to start a puppy insurance plan. These plans can be quite affordable, and are recommended, particularly in the first year of your dog’s life. Your individual rates will depend on many factors. Among those factors are: where you live, your dog’s age, and breed information. You might be able to lower some costs by living on a quiet street and having a fenced yard. You want your puppy to start off on the best possible footing possible. They’ll need shots, tests, and check-ups to ensure that they develop into a healthy adult dog. At the minimum, you’ll want an accident only plan to cover the just-in-case situations and add on a dog insurance plan that covers basic preventative measures. These plans can cost as little as $22/month and will pay off if you use them. The next level of care will cover a bit more, including things like surgical procedures and some chronic care. These plans might cover hereditary conditions, but your puppy is likely too young for that coverage. However, after a one-year waiting period, your insurer is more likely to cover these genetic difficulties. If you choose a comprehensive puppy insurance plan, you can make claims for nearly any and every medical problem your beloved canine encounters. Chronic conditions are frequently covered under these plans, and you may not have to wait to see if hereditary conditions are covered. Of course, these plans can cost up to 3x the monthly rate of the most basic insurance, however they also reimburse up to 90 percent of all veterinary bills. Puppies will need many things in the first year. They will need vaccinations. They will need to be checked for things like worms. They may need care for hereditary illnesses or simply need to be spayed or neutered. All of these may be covered by puppy insurance. In fact, spaying or neutering your puppy is one of the most important things you can do. Not only will you help contain an out-of-control dog population, but also you will help build and maintain your dog’s long-term health and wellbeing. According to the ASPCA, spaying and neutering have tremendous implications for health. For instance, spayed females have longer lives since their risk of certain cancers and uterine infections drops precipitously. Neutered puppies likewise avoid testicular cancer and have fewer prostate problems. Then, your pets will avoid the behavioral problems associated with going into heat and seeking a mate. You can get coverage on a puppy you intend to breed, but breeding specific ailments will likely not be covered. Puppy insurance is a great idea, in our opinion. Since you can’t find a pet insurance policy that covers pre-existing conditions, enrolling your pet as a puppy is a great way to insure them when they are healthy, so anything that comes up will be covered based on your deducible and reimbursement level. Waiting until something happens will then exclude the major health issue from any plan you will get in the future. Make sure you get a few quotes so you can get the best plan possible for your new pup.